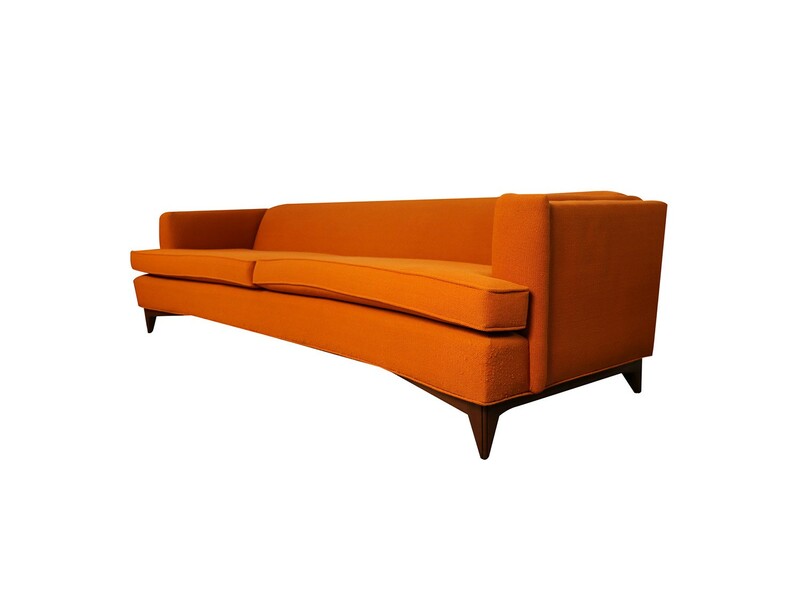 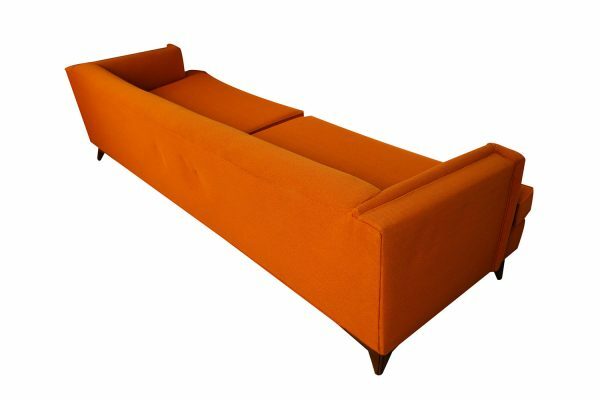 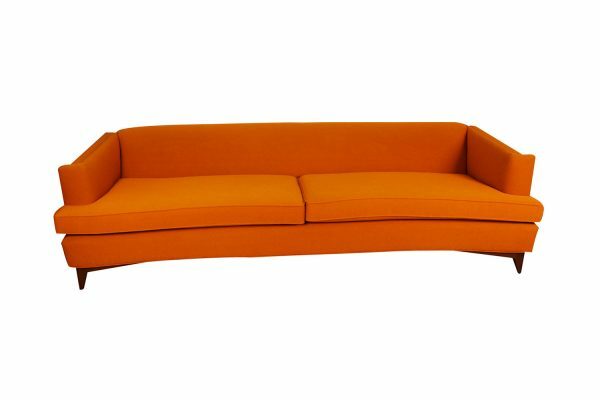 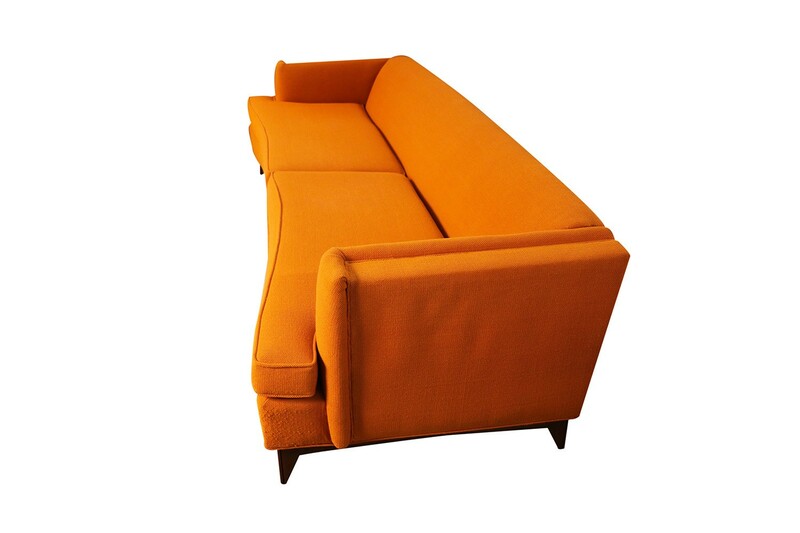 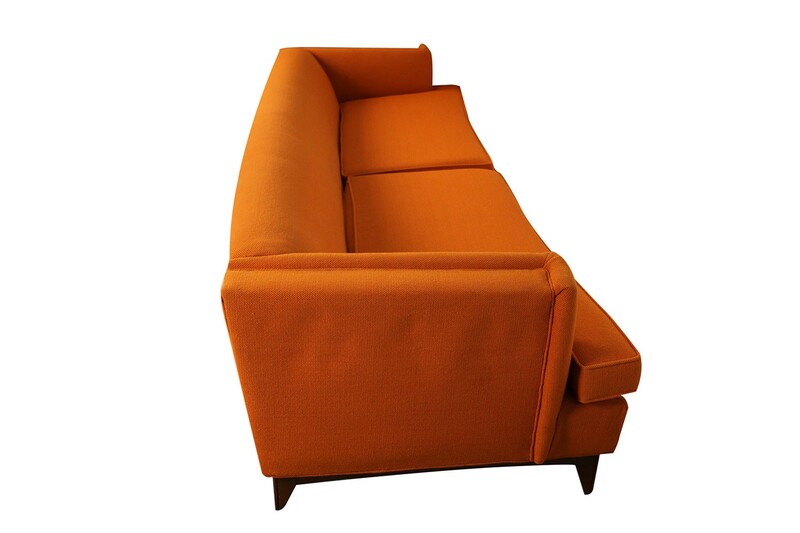 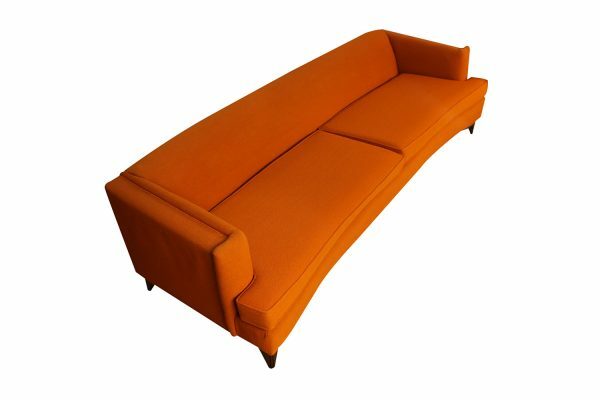 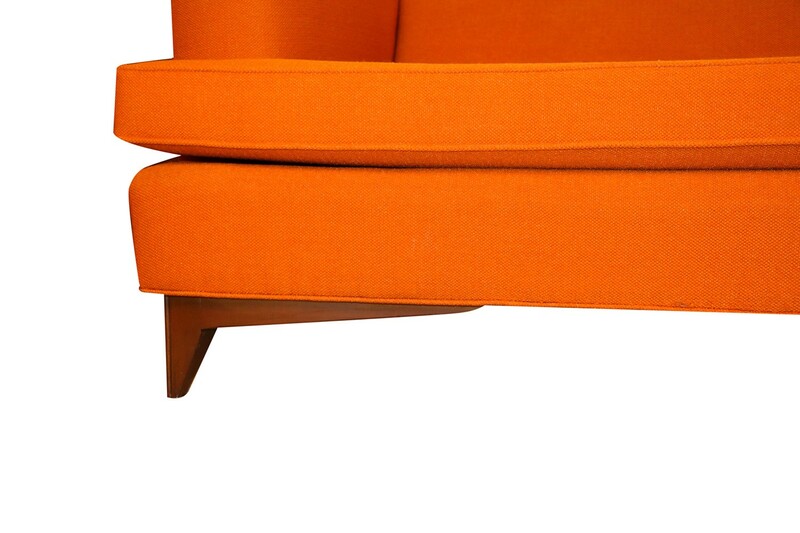 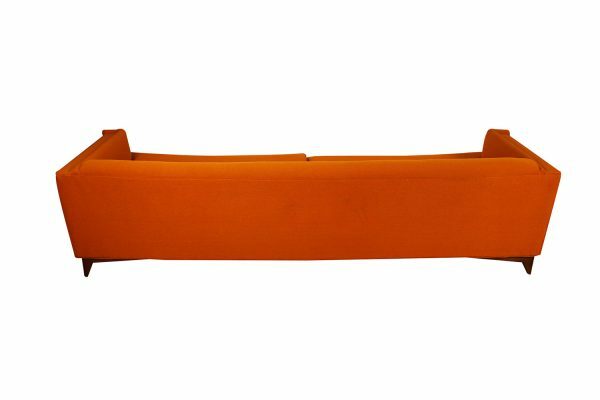 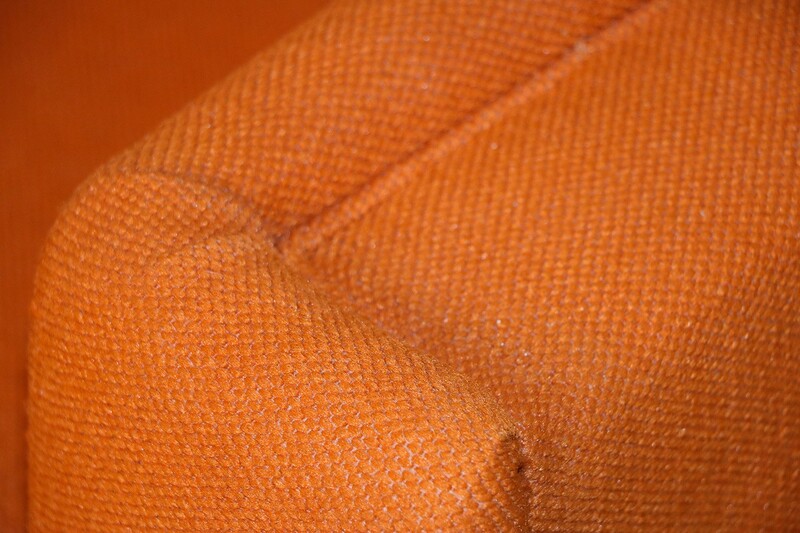 This fantastic mid-century extra long (7.83 ft.) sofa features gently sloping curves and large dual removable cushions in original orange upholstery, remaining in simply outstanding condition. Crafted beautifully with accented tight back. 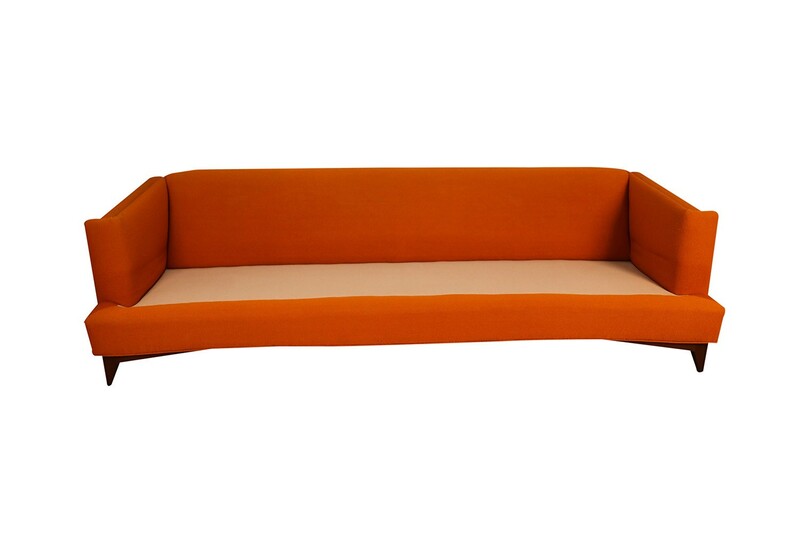 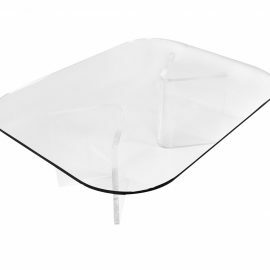 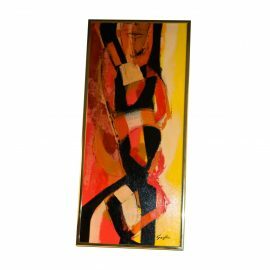 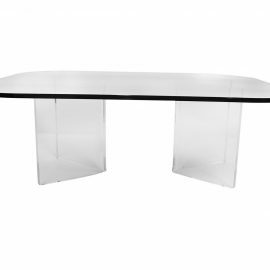 The frame is solid and sturdy with strong arms just the perfect height for comfort. 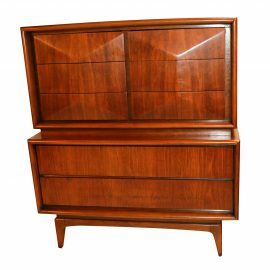 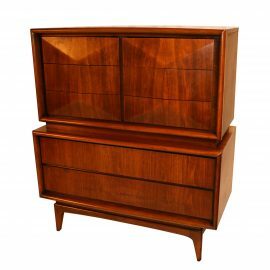 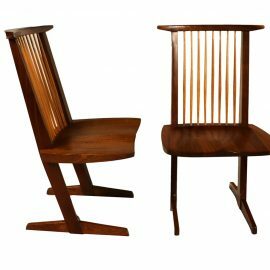 The entire form rests over walnut legs of cylindrical form, overall remaining in absolutely gorgeous condition. 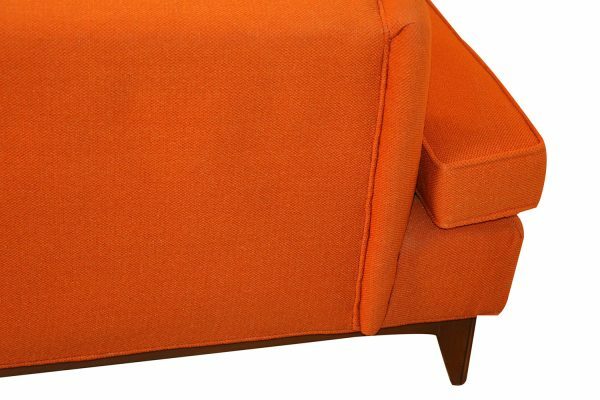 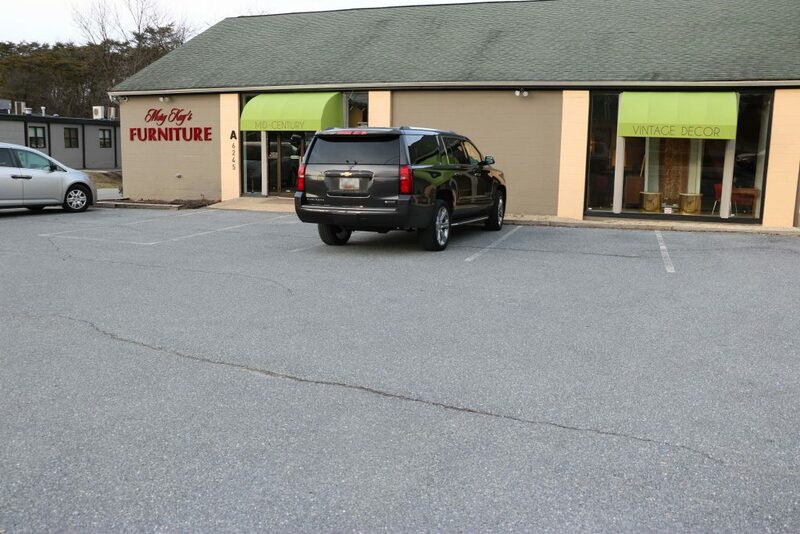 Retaining all original hardware, this is a most excellent seating piece with modern flare and ample seating to any home or office space.